The SPs tested below the 43.75 previous swing high and flushed down to the top of the previous trading range. 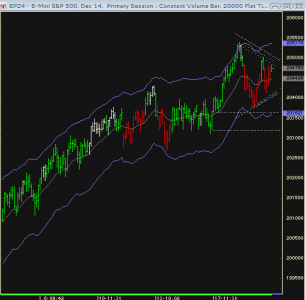 The market still ended up with an inside range day, and now the Sps have a three bar triangle breakout mode. There are daily sell divergences on the indexes. The Russell and selected stocks have already corrected to the daily EMA. 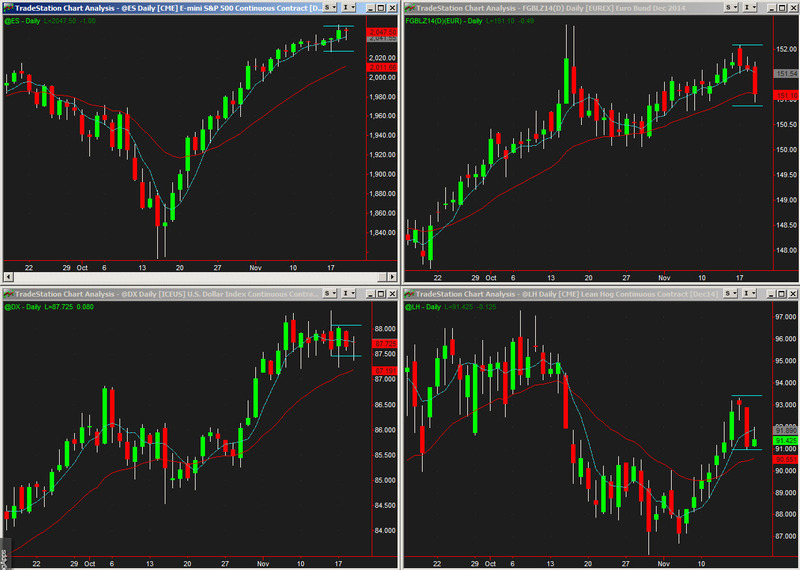 There are now 24 closes on one side of the daily EMA. Anytime there are more than 22 closes on an extended run sequence, the first close back below tends to lead to a few more days follow through. (Usually the market trades back up after 1-2 days correction for a retest sequence.). If the SPs have a downside breakout, they can trade back down to the lower end of the range shown – 26 – 29 would then be the next downside level. The market can also still hold firm, though , as some shares such as PG , have daily bull flags. 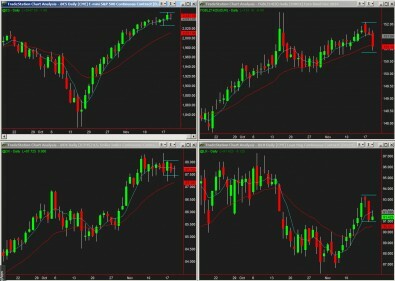 Consolidation periods can be unusually choppy. The EC has a Sell Short day on the 2-period ROC. The daily oscillator has corrected all the way back up as well. On the other hand, the weekly charts still have a Buy Divergence. bears should have the upper hand in the EC on Thursday as Wednesday’s price rejection spike above the 5 day high was notable. 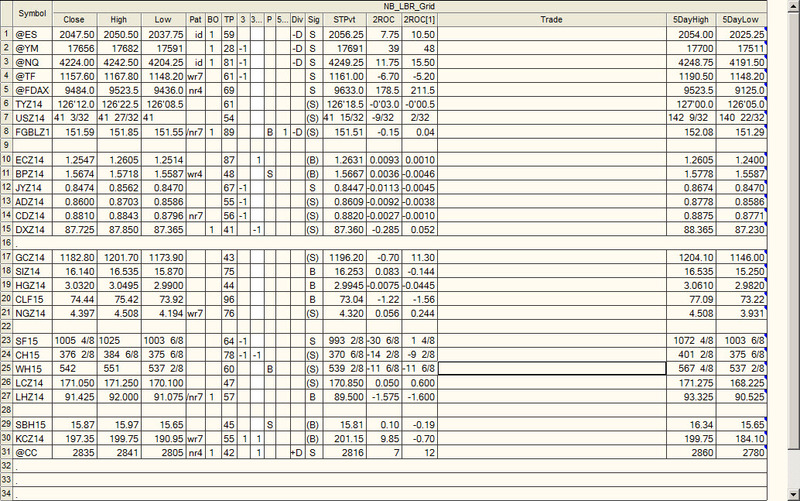 However, if the EC does not trade down much, then that will be telling for the next 5 days of trade. GC – similar structure with daily osc correcting overbought conditions but weekly buy div can offer support. Yen – look at the monthly charts – it traded below 80 back in 2007. not so far from those previous monthly lows now…. Beans: Buy day….Wheat and Corn as well. 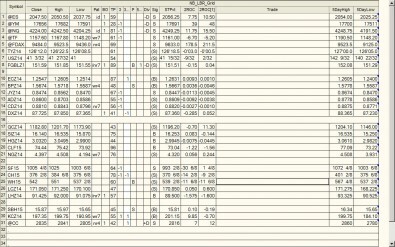 Bonds – had range expansion to downside, volatility breakout systems went short. However, they are still in a broader trading range……at least the bunds broke…..! Dax found support at the hourly EMA. It can snow have support on a reaction back down to the 120 minute MEA. If there is any significant overnight movement, we will update in the morning! Have a great day and stay warm if you live in the northeast or midwest!